Last month, approximately 1,500 young trees were felled and burnt on John Greenslade's farm near Tiverton to try and contain the disease. But Mr Greenslade now believes in the region of 1,000 more older trees were showing signs of the fungus. Defra said it was still trying to manage the problem. The disease, Chalara fraxinea, was first confirmed in saplings in the UK in March last year. The government imposed an import ban on ash trees after the disease was found in East Anglia. Since then 554 woodlands in the UK have been affected, according to Forestry Commission figures released this week. The outbreak near Tiverton is described by the Forestry Commission as an infection in a "wider environment", one in an established woodland. An additional 11 sites of recently planted trees in Devon and Cornwall have also been confirmed as being infected. Mr Greenslade said: "When it first got in the mature trees, it was sickening. "When I was told [by forestry experts] that it was also the first cases in mature trees this side of Essex, I felt even worse. "I had hoped some would survive." "It's inevitable that the harder you look, the more you're likely to find." Defra said: "We know we can't stop ash dieback infecting our trees, but we will continue to put our resources into managing it and slowing the spread. "Work is already under way to identify those trees which have a natural resistance to the disease." Spore traps were being used to monitor exactly how the disease was spreading, the Forestry Commission said. Bruce Rothnie, from the commission, said: "It's inevitable that the harder you look, the more you're likely to find. "It's clear that the infection has been on that site for a period of probably 12 to 15 years. It takes that amount of time to establish itself and for symptoms to show for us to notice it." Britain has about 80 million ash trees, which cover about 5% of all woodland and provide food and shelter for birds and more than 100 types of insect. The Devon Wildlife Trust previously said local infections were "disappointing" but it was "something we'll have to learn to live with". 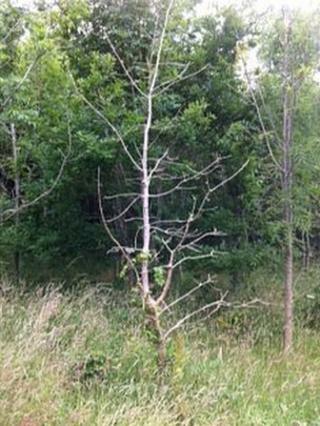 Ash dieback: What will be rising from the ashes?